The AluRack, Prime Design's all anodized aluminum cargo carrier rack, is aerodynamically designed and engineered to reduce fuel consumption and minimize noise while carrying all your short or long loads up to 350 lbs. 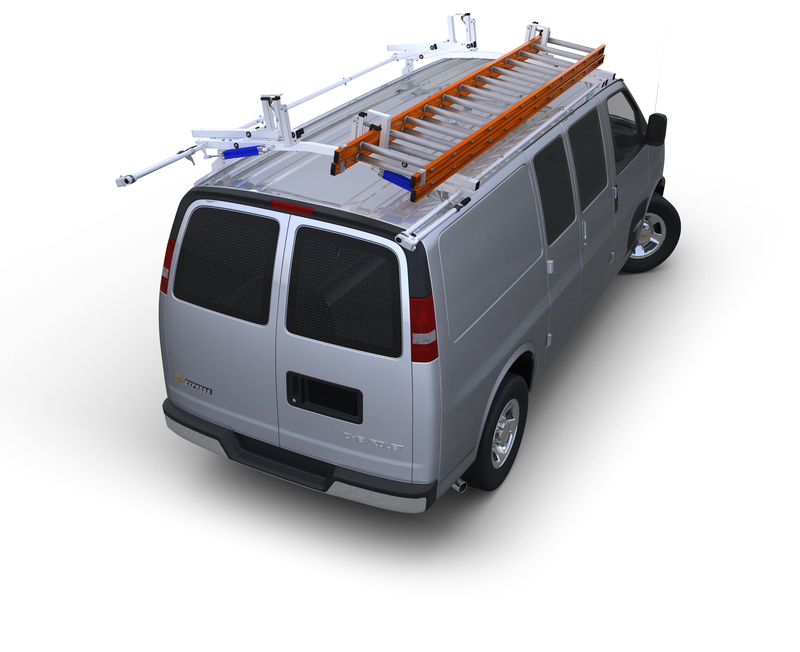 Standard wheelbase vans have seven extruded cross supports while longer wheelbase racks have nine cross supports and both include a rear roller bar that makes loading and unloading ladders and other long cargo from the rear of the vehicle manageable and safe. Full length side rails are constructed with .080 thick wall aluminum tube and are 5" high to protect and keep cargo on the rack. 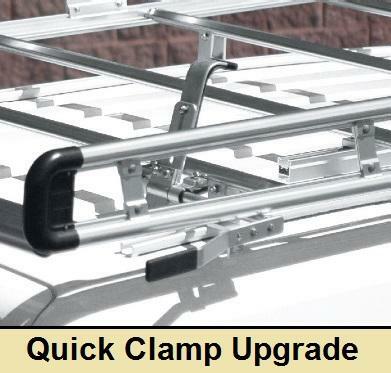 Gas strut assisted Quick Clamp lock down upgrades are available for both the curb and street side of your rack and secure your ladder in place with the turn of a handle (accepts padlock, not included). Racks come complete with stainless steel hardware and mount in mounting channels that attach to existing roof mounting points provided by the manufacturer. 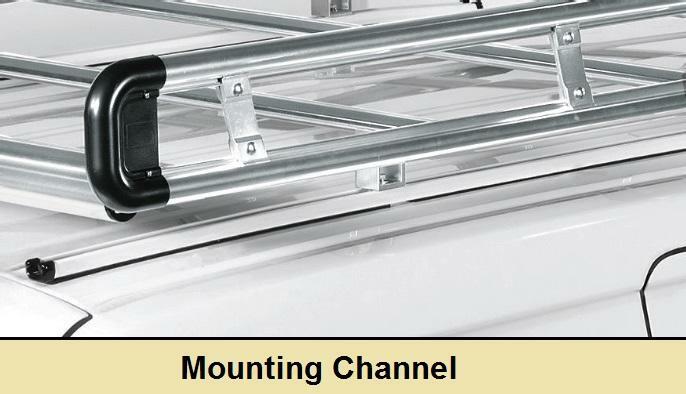 Mounting Channels are included with this Rack. Please select your desired rack from the vehicle options above.